I am so excited about today's post because desserts for breakfast is teaming up with CSN stores (purveyors of coffee tables, cookware, and oh-so-much-more) for an amazing cause: breast cancer awareness. October is Breast Cancer Awareness Month, and, as I've mentioned on this blog before, it's a cause that's very near to me because close family members and friends of mine have had to fight and survive breast cancer. So please. Be aware. Get tested. Spread the word. In commemoration of Breast Cancer Awareness Month, CSN stores and cookware.com have kindly agreed to give away to one awesomely lucky winner an Emile Henry "Bake for the Cause" 9-inch pink pie plate (Emile Henry donates 10% of the sale of each pie dish to breast cancer research!). I myself am a huge (read: HUGE) fan of the Emile Henry pie plates (I own four of them! ), so I'm uber-excited for one of you to receive one, too, and especially a pink, breast-cancer-research-benefiting one. To sweeten the pot pie even further, my breast-cancer-surviving relative and I will together donate $50.00 to the American Cancer Society for breast cancer research in the winner's name! 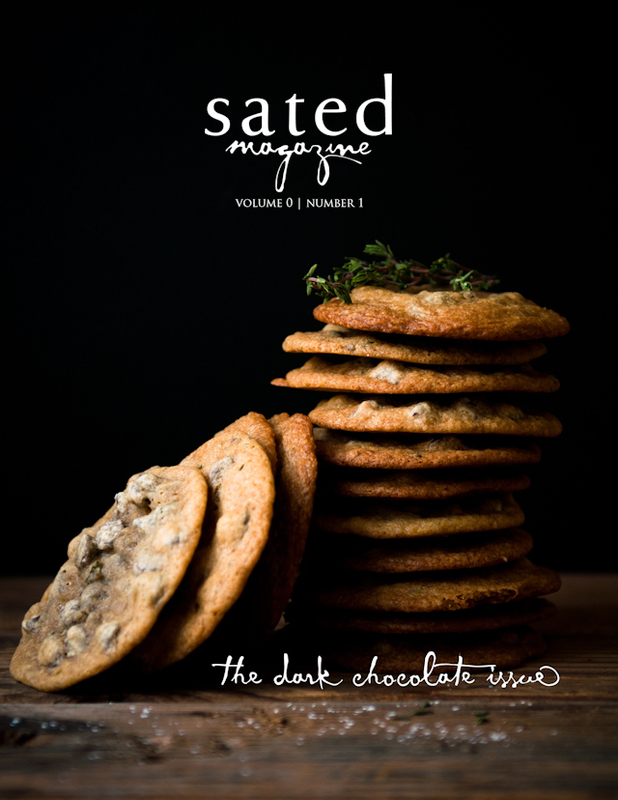 I'll also give you an extra entry in the drawing if you tweet about this post, but in your tweet, you must mention me (@shihbakes) and include a link to this giveaway (http://bit.ly/dfbCSN1) so that I can track all of your entries! You have until 23:59 PST, Sunday, October 17th, 2010 to enter. I'll pick the winner at random that night and make the announcement in next week's post, so be sure to check back then! This contest is open in the U.S. and Canada only. (My apologies, international readers.) The pie plate portion of this giveaway is brought to you by the CSN stores and cookware.com. Good luck on the giveaway, and remember to spread the word about Breast Cancer Awareness! 2. In a food processor, combine flour and salt. Cut in the butter in ~Tbspn-sized chunks. 3. Process the flour, salt, and butter for a few pulses. 4. Slowly add in water, one tablespoon at a time, pulsing between each addition. 5. Process just until water is integrated and the mixture is the texture of tiny pebbles. When you press the mixture between your fingers, it should form a dough. 6. Dump the dough onto a piece of parchment paper or a lightly floured board and form into a ball. If the dough has warmed up too much during this process, freeze for ten to fifteen minutes before continuing. 7. Roll out the pastry dough and place into pie plate. Prick the bottom of the pie several times with a fork. Return to the freezer for ten to fifteen minutes if the dough has warmed up too much in the rolling process. 8. Before baking, line the inside of the pie crust with a piece of parchment paper and weigh down with pie weights (or dry beans, which is what I use). 9. Bake in the oven for ~15-17 minutes, until the outside rim of the crust begins to turn a golden brown. Carefully remove the pie weights and parchment paper, lower the oven temperature to 375 degrees F, and continue to bake for 5-7 minutes more, until the pie crust has turned golden brown and is no longer shiny. Remove from the oven and let cool. 2. In a saucepan, combine the sugar, cornstarch, and salt. Gradually blend in the strawberry puree and lemon juice. 6. Remove the curd from heat and mix in the lemon zest. Let cool. 1. In a saucepan, combine the sugar, cornstarch, and salt. Gradually blend in the lemon juice. 2. Add the egg yolk and butter, blending until smooth. 3. Gradually add the boiling water, stirring constantly. 1. Place egg whites in a large bowl and sprinkle in the cream of tartar. Stir using a whisk until the surface of the egg whites is completely covered with foam. 2. Increase speed and whip the egg whites, gradually adding the sugar, until the whites hold glossy stiff (but still a bit rounded) peaks. Do not overbeat! 3. Add in the vanilla extract with a quick stir. 4. Fill the pre-baked pie crust with strawberry-lemonade curd and then swirl in the lemon curd. 5. Top with meringue, making sure to seal the meringue to the pie crust at the outer edges. 4. Bake for fifteen minutes, until the meringue is just barely golden brown. Remove from heat and let cool for at least one hour at room temperature before serving. A truly thoughtful giveaway, Stephanie! And the perfect pie to go with. So to be honest, I didn't start eating pie until a year ago. It was a too-long continued dislike of the stuff from childhood. Now that I've corrected my ways, the sweet potato buttermilk pie I made for Thanksgiving last year was darn good; though I'm sure once I start trying more I'll have many more favorites. Tweeted. FOUR Emile Henry pie plates? Beats baking in a springform! Lucky girl. My favorite pie is chocolate banana cream pie, especially in the summer. Hi. Pie looks great. I saw a pink lemonade cupcake one similar to this that was cute! My favorite pie is dark chocolate tart. Maybe with some orange in it! Yum! Hope you pick me! Hint, hint! And even if I don't win, what a great promotion for an important cause! What a fabulous giveaway for this month!! 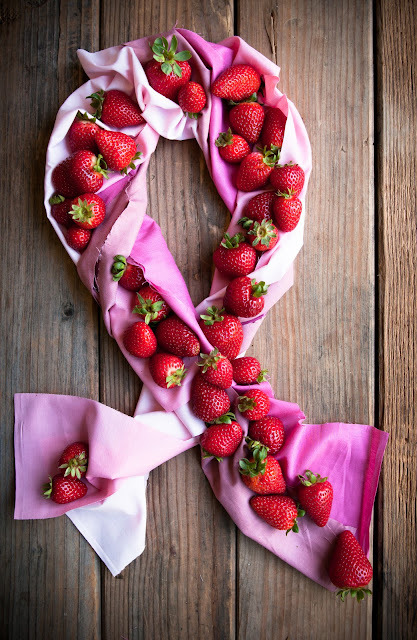 Love the photo of the pink ribbon twist with strawberries!! What a nice idea. I love coconut cream pie. Pink pie looks really good! My favorite is pecan pie. Really adorable pictures and a very cool giveaway. I would eat pumpkin pie every day if my body allowed it. My favorite pie is blackberry, but not just any - blackberry pie made by my mom with her grandmother's crust recipe and blackberries from our backyard. Mmmmmm. Gorgeous pie! My favorite pie is sour cherry. Hands down just because it is incredible, I adore that strawberry ribbon pic. LOVE it! So beautiful- both the pie and the plate! My favorite is grasshopper pie. 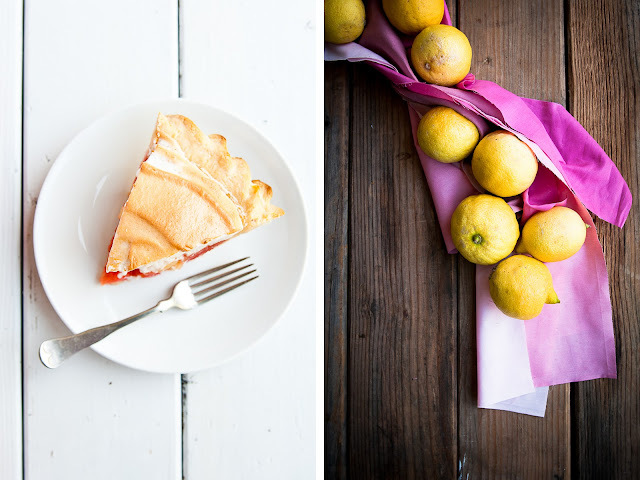 Stunning photographs and the pie ain't so bad either ;)I'm a big lemon meringue fan. That pie looks amazing! As does the bakeware! Yum! Favorite pie, hrmm. Probably key lime. I know it's expected but I just can't get over it! ooh, i LOVE pie so that's a hard one to narrow down! i think my favorite is the classic apple pie. oh yeah, blueberry all the way!! My favorite pie is Coconut Cream Pie with Coconut Whipped Cream and Toasted Coconut on top. I made my 1st one last Thanksgiving and almost ate the whole thing. Still working it off but soooo worth it. Ohh this looks so yummy and a great cause too. Once a friend brought over homemade apple pie topped with a heart-shaped crust. It definitely was my favorite pie ever. I think my favorite pie is Apple Pie...but maybe that is because it is apple season. Love it! My favorite is banana cream pie!! Yum!!!! Is it weird that I have a favorite summer pie and a favorite winter pie? I have a new favorite pie after this past thanksgiving weekend, replacing key lime as my favorite kind of pie, is the ravishing "pear pie" with cardamom. Oh, what a sweet (no pun intended) idea! Thanks for hosting such a great giveaway---and thanks to CSN for providing the plate! My favorite pie is lemon meringue, although you may convert me with this STRAWBERRY lemon meringue pie! I would have never thought of it, but now that you've suggested it, it's stuck in my head! No need to bother with warm, mushy fruit in a pie, just use chocolate! Peanut Butter Pie!!! With some chocolate of course! Love the photos, so beautiful! 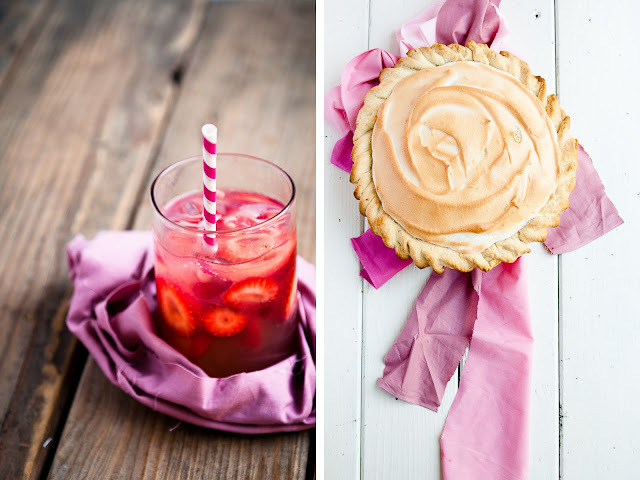 And a strawberry lemonade meringue pie sounds too good to be true :) Will be trying this recipe out soon!!! That is a tricky question! I thought long and hard about it and I think I decided my favourite pie is lemon meringue. I love lemon! In my book, nothing can beat my grandma's apple pie. The crust is perfect and not too sweet. It always puts a smile on my face. My favorite type of pie is boysenberry. I'm not sure I'm a pie kind of girl... yet. Though I *loved* the wonderful fresh strawberry pie my friend's mom made this summer. I do like making pumpkin pies for turkey day, too. This pie sounds delightful... I'll have to give the recipe a go. Thank you so much for sharing such gorgeous photos and lovely recipes. 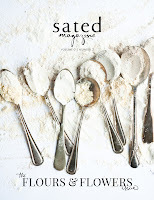 I hope to see your work in a cookbook! Thanks for the giveaway! My favorite is apple crumble pie. 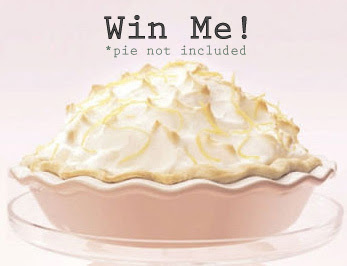 I love your giveaway...even if you left out the pie plate. My favorite pie is key lime with a pretzel-graham cracker crust. pumpkin cheesecake pie is what i've been craving lately! Dang, your pie actually sounds incredible. My favorite pies... Jeez, I can't even list them all I love all kinds of pies. Pecan and pumpkin for sure (and it is that time of the year) and my grandma makes one with chocolate pudding and Swiss Rolls that is to die for as well. You can never go wrong with peach or apple pie either. I'm getting so hungry just thinking about it! 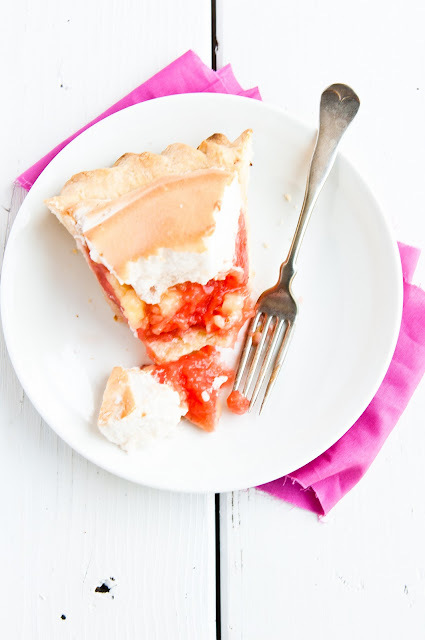 My favorite pie is lemon meringue or peach! Strawberry pie is also delicious! MMm this looks absolutely phenomenal! 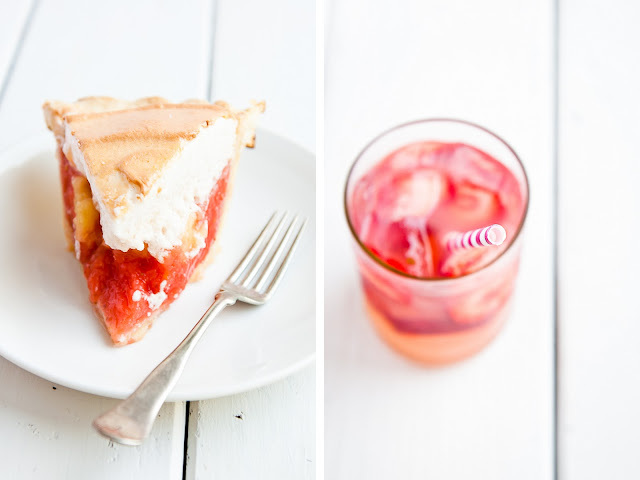 I swear the best pie ever is strawberry rhubarb pie - and it's one of the easiest to make too! I am totally hooked on strawberry rhubarb - but anything homemade tends to be lovely. What a great pie for a great cause. Love what you've done with styling the cloth as a ribbon. Oh my what LOVELY photos and perfect pie for a wonderful cause!!! My favorite pie would have to be pumpkin. Pumpkin...cheesecake? Technically it's a pie! My FAVORITE kind of pie is apple pie with the yummy crumbly topping!! its soooo good!! Made from scratch every single time! But looking at this strawberry lemonade pie... it might become my NEW favorite! I am so makin this tonight!!!! I LOVE your photos. just divine and mouth watering~!